Gargi HA Binders & Coatings Technology Series at Kolkata. 71st World Foundry Congress, Bilbao, Spain. 43rd National Safety Day / Weeks. Commitment of Gargi HA to Foundry Industry !! A New Tabloid in the Foundry Industry. IRMA Felicitates Mr. Vinod Kapur for being elected as the Vice President of the prestigious World Foundry Organisation. 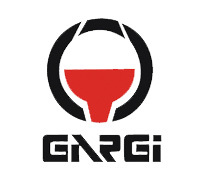 Gargi Engineering Enterprises Pvt. Ltd. Bags 3 awards.